Ideal for small businesses and operations, these boom lifts are cost-effective and good for customers with door width and height restrictions. Push around boom lifts are especially useful for applications that require high reach capability, but do not require a self-propelled unit. Most machines have turntables that can be rotated 360° in either direction and raised or lowered from vertical to below horizontal for easier positioning. Wiese sells, services, and rents trailer mounted booms made by two of the industry's leading manufacturers. Push-around telescopic lifts are typically designed to lift one operator with their tools and are used commonly in facilities to change light bulbs, perform industrial overhead maintenance, pick stock, hang signs, and more. 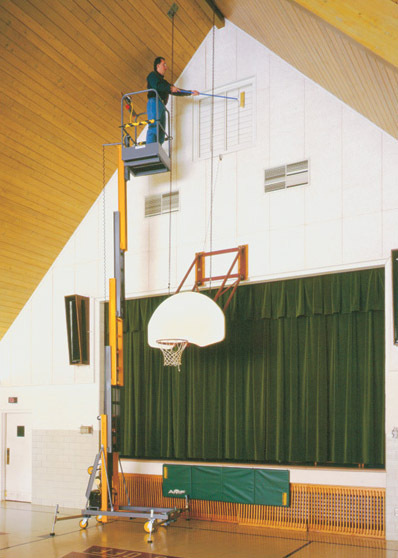 As a general rule, they provide a cost effective alternative to self propelled lifts for activities that do not require multiple workers, high heights, or difficult to reach locations.